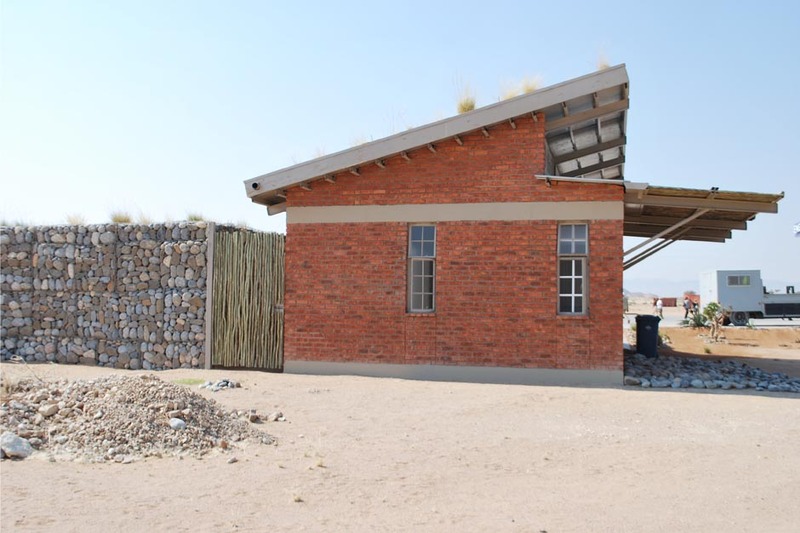 As a statement against the proliferation of man-made structures in the natural landscape, Nina Maritz Architects decided to ‘bury’ the structures of this filling station. 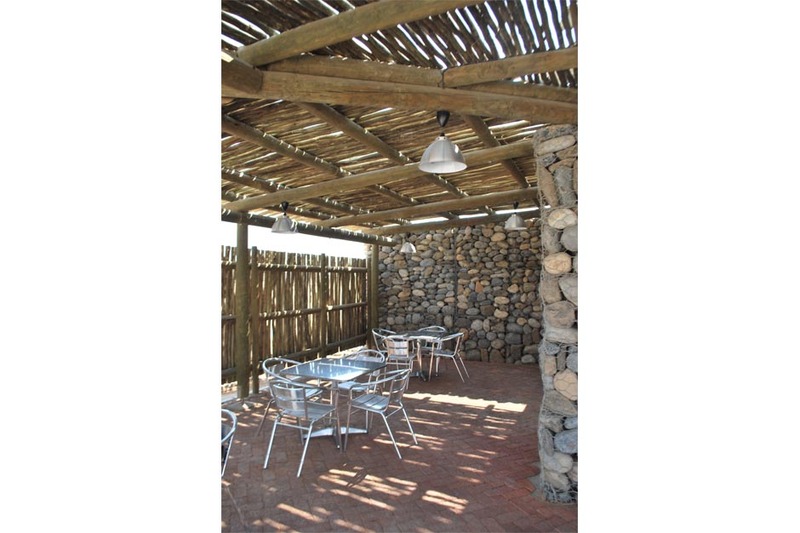 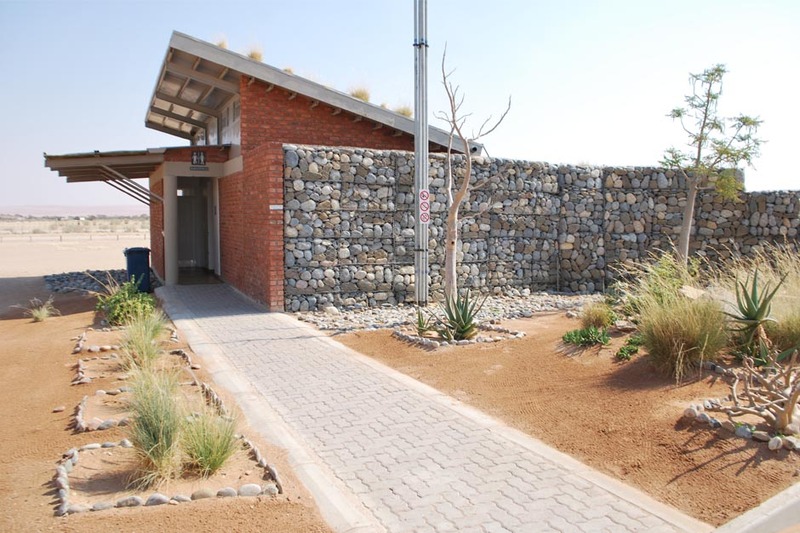 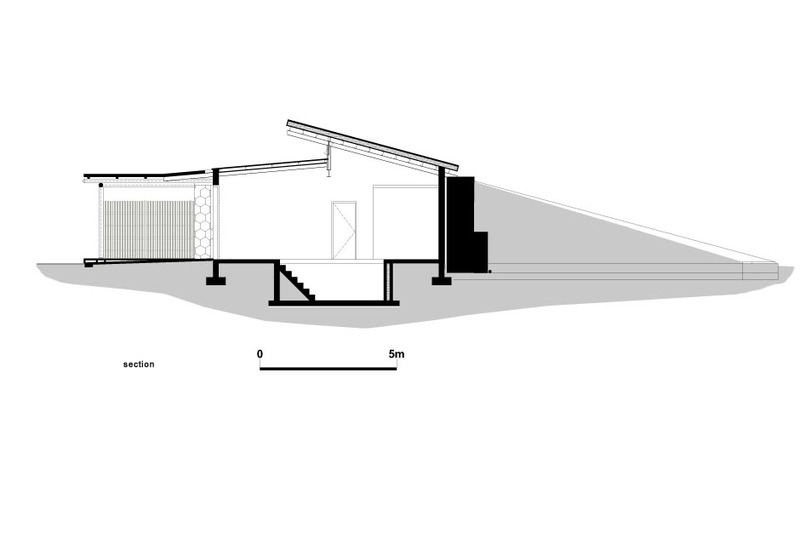 The outer perimeter of the earth-sheltered buildings is faced with a full-height retaining gabion wall, supporting a sand berm which also flows over the roof. 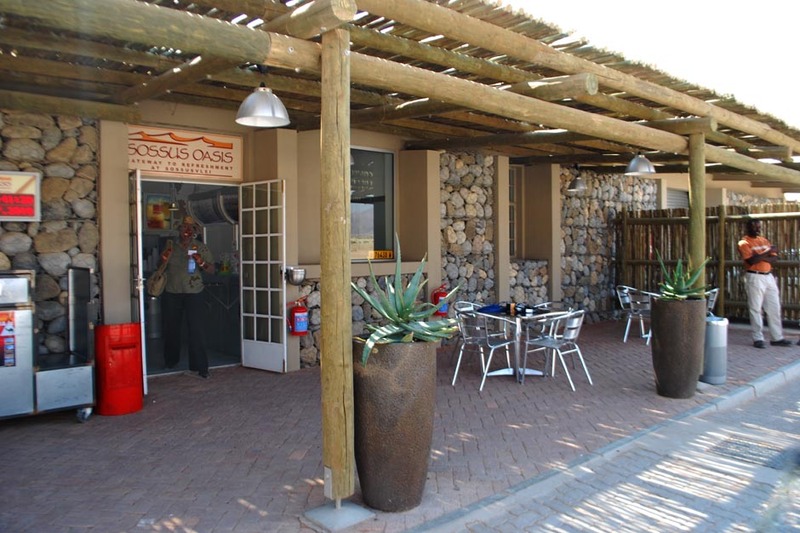 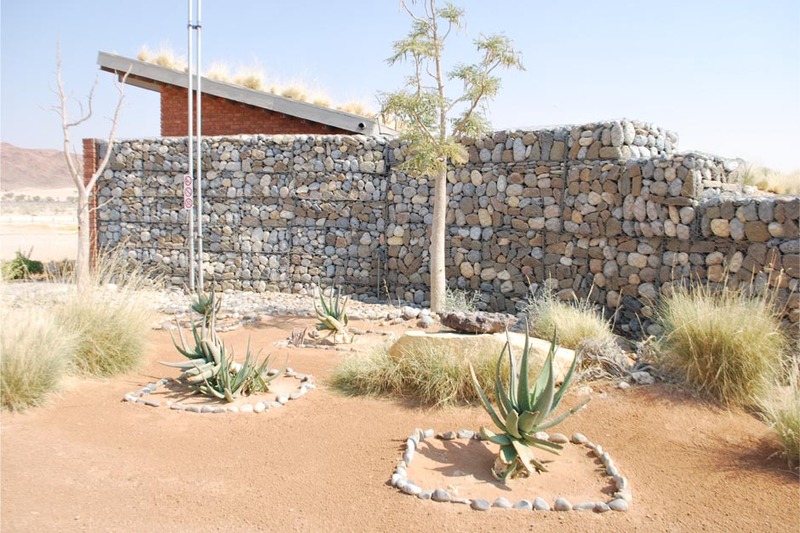 This helps to camouflage and cool the buildings, which are placed in an open plain near the entrance to the Sossusvlei World Heritage Site in the Namib- Naukluft National Park. 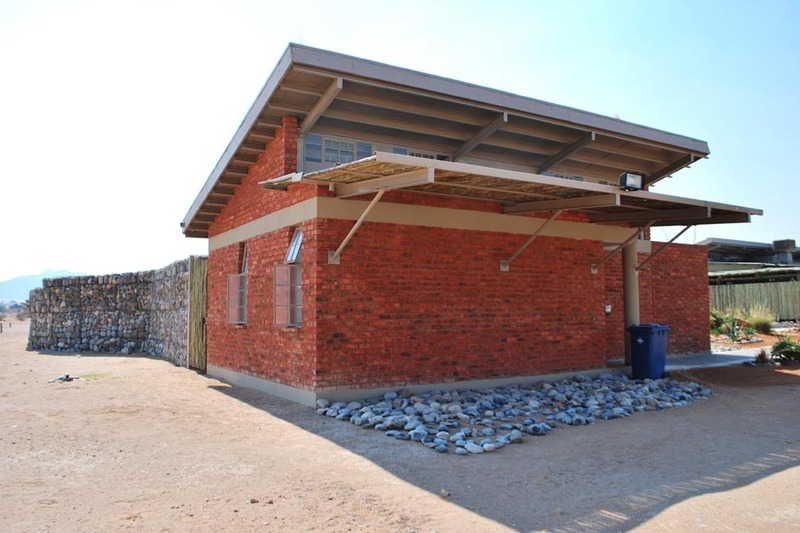 As yet only three sections (re-fuelling area, ablutions and workshop) of a future courtyard convenience store and service station is built, with the workshop currently housing the convenience store. 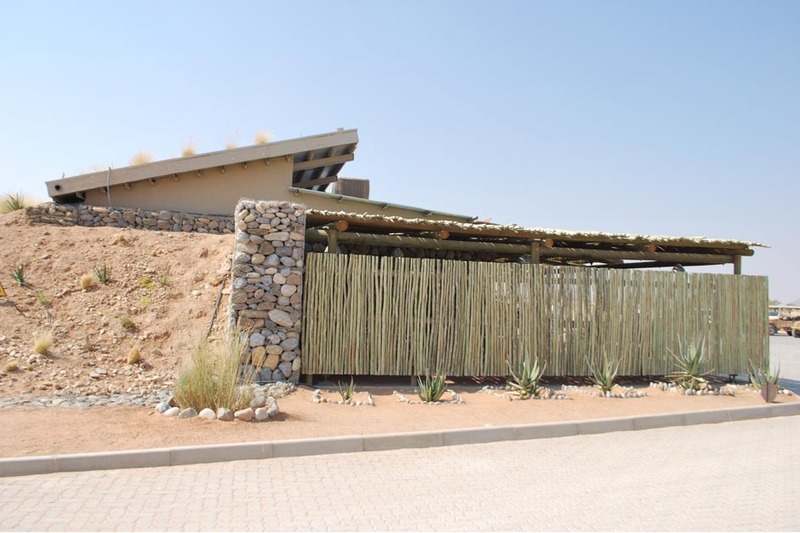 Locally indigenous grasses and local stone combine with the sand and timber ‘latte’ to bed this project deeply into its landscape.